This week has seen some very enthusiastic news items about the future of mobile payments in the US, in conjunction with the release on Monday of a new Forrester report on the industry. According to the survey, which was based on input from PayPal, Verifone and other key players in the sector, mobile-based payments in the US will rise threefold in the next five years, from about $50 billion to $142 billion in 2019, including in-person payments totaling $34 billion and remote payments via apps and mobile websites nearing $100 billion. As with all forecasts of emerging industries, this one needs to be taken with a grain of salt, since the true numbers could very well end up being double, half or even an order of magnitude higher than the projections. Meanwhile, the focus on the US obscures the much bigger question of how the 95.5% of people in the world who don’t live in America will take to mobile payments in the coming years. If there are no directly comparable figures for growth in non-US markets over the same period, it is easy to see why. Global surveys by such authorities as Ernst & Young and Cap Gemini/RBS consistently paint a remarkably diverse picture in terms of existing growth patterns and local habits in the 200+ countries beyond America’s 50 states. In some countries, for example, m-payments and other non-cash transactions are expected to leap because of major upgrades to infrastructure, or regulatory changes. Meanwhile, other countries are experiencing remarkably unique growth stories in select areas, such as Kenya, where almost the entire population now banks by phone. The chart above from this slide deck by Business Insider‘s BI Intelligence unit not only provides a stunning example of the huge spread in useage trends is across countries, but a sense of the enormous potential in most such markets. Across the world there are tiny points of “anecdotal data” that could easily expand into major sources of growth, such as the decision by the city council of Barcelona to release a free app for parking payments in the city, which is one of Europe’s most visited and admired. There are also shifts that are clearly seismic from the start. In another recent survey by Forrester, the firm said it had to reassess its caution about fragmentation in the mobile payments landscape in Asia from the previous year, because of signs that Apple Pay will top expectations in the region in 2015 – a region where the 36% of adults whom Forrester expect to own a smartphone by the end of next year represent a multiple of the entire US population. Overall, if there are two things that can be said about the future of mobile payments in non-US markets, they are that growth is taking place in industries and niches – such as non-bank financial institutions – that are difficult to collect neat data on, and that, taken together, such markets will inevitably dwarf that of the US. It is because of this that, unlike most players in the mobile payment industry, Cellum is increasingly focusing its attention not only on markets outside of the US, but on “pure” emerging markets like Indonesia and Thailand, where in the past year it has made two key partnerships (you can read more on these initiatives here and here). 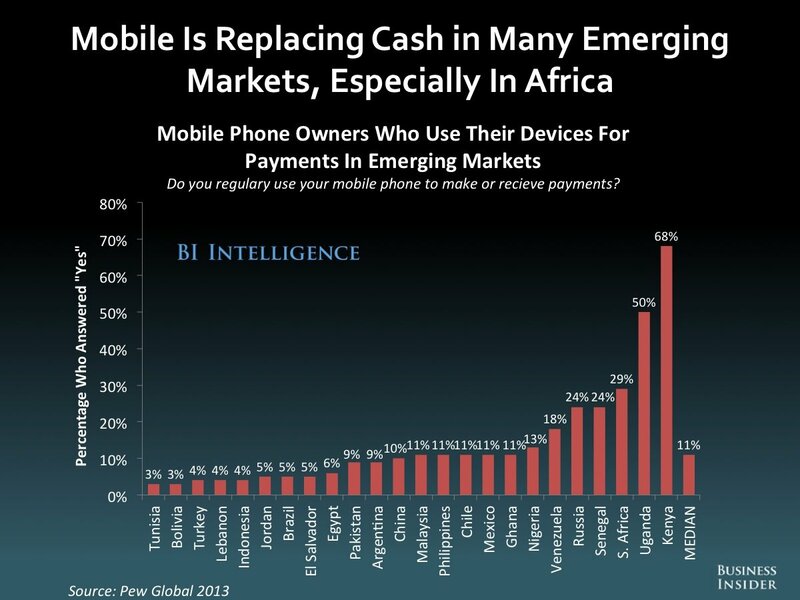 None of this is to suggest that the US market isn’t hugely important for the future growth of mobile payments. Rather, as the Americans say, it is just the icing on the cake. Tags: mobile payment, smartphone. Bookmark the permalink.